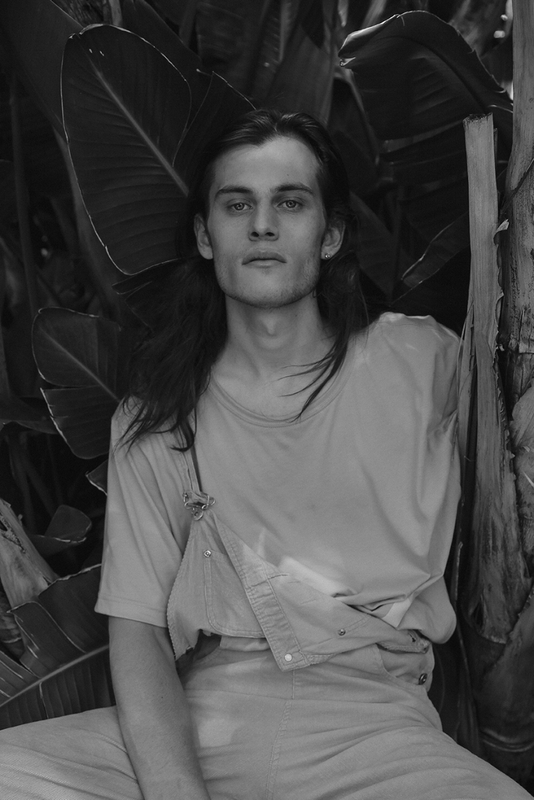 ANTIBOY IS THE CONCEPTUAL CHILD OF HARRY HAINS, AN INTERNATIONALY KNOWN MODEL AND ACTOR BASED IN LOS ANGELES. IN THIS FIRST EXCLUSIVE INTERVIEW WITH SENCILLO YOU WILL GET A GLIPSE INTO THE WORLD OF THIS GLITCH ROCK COVER STAR. I was born in Melbourne, Australia to very loving and supportive parents, along with a highly intelligent and creative brother whose currently programming AI related art pieces. We didn't all get along in the beginning, I was very emotional and sensitive, as well as being rebellious and expressive, which I still am, I believe in telling it like it is, being blunt and honest. I spent a large portion of my time creating short films on my camcorder both directing and acting in horror films where I often had members of my family murdered in endless amounts of ways, even having people die multiple times in different costumes. Plus working on an episodic series of stop-motion animation, called "City of Heroes". I wrote copious amounts of poetry too, and many short stories and books throughout my childhood. I was an odd kid! My mum was an actress, and so put me in acting classes at a very young age as an outlet, which I absolutely loved, and knew since as long as I can remember that it was what I wanted to do. I spent years in various acting programs and was set on making this become my reality before I started to get serious about school and found a new passion for chemistry and biology. I went off to university to study a Bachelor of Science wanting to become a doctor. It wasn't long before I decided to move to London to take some time off from school to model (and bartend) over the course of the year, while starting to take acting classes again. Modeling really boosted my confidence and made me realise that I have to at least try to do what I had always wanted, I have to make acting happen, because I knew I would always regret it, and knew that if I worked hard it was possible -- I couldn't give up on that dream, I can always return to school and become a doctor later. I was able to sign a modeling contract with Ford Models which prompted my move to Los Angeles at the start of 2014. Knowing this, I decided to audition for student films in Australia to get some footage for my reel the months leading up to this move. When I arrived, I got headshots taken, put them up along with my reel on a website called Actor's Access and applied for every single role I found. Within the first month, I booked a lead role in the feature film, "The Surface" which was extremely exciting! It validated everything I had been feeling up until this point and it was the universe's way of telling me I am doing the right thing. This was a wonderful experience and a beautiful coming of age story about a young man trying to find his place in the world as he wafts between relationships. This confirmed it all, and from that point on, I made acting my priority. My experience being on American Horror Story was very cool, it was my first TV gig and it is such an absolutely brilliant show, so I was overwhelmed with excitement. I had my own trailer for the first time, I got to work to be in an iconic ~15 page dinner scene where all the serial killers had come together for "Devil's Night" which included Evan Peters and Wes Bentley. My role was a meal given to Jeffrey Dahmer (played by Seth Gabel) where he ended up drilling a hole in my head and turning me into a zombie to make me his. The sets were beautiful, the actors were superb and it was a very valuable moment in my career that I got to step into the world of TV for the first time, which is an incredibly challenging and difficult thing to accomplish. WHAT INSPIRES YOUR LOOK AND FASHION CHOICES? Fashion to me is another creative outlook, I look at fashion as a form of art, and my look is a huge part of who I am. I wear what makes me feel empowered. I have a very large variety of clothes from different eras from 80s vintage to new designers. My favourite pieces come from the Japanese brands Issey Miyake and Comme Des Garçona as well as KTZ and Discount Universe. Fashion is a movement, it is political. I have an extremely eclectic look that both challenges the idea of masculinity vs. femininity and modern-day appropriateness. TELL US ABOUT "ANTIBOY", HOW DID THIS COME ABOUT? ANTIBOY was initially an idea to create a boyband that was against everything that boybands stand for using unique individuals with different voices and different looks challenging the stereotype. This evolved into creating a character that exists in a world where there were NO labels like gender and race and sexuality, and people were completely free with their expression. This became a future where AI had fused with human, and social constructs of our modern day society had vanished. After some more exploration, I created a whole world that ANTIBOY was from. In this world, all memories have been uploaded to the cloud and nothing is real anymore, rather people exist off inseminated memories of the past and other people, in a dystopia to live forever. ANTIBOY is a genderless robot from the distant future trapped in a virtual simulation of the past. My sound is what I like to call 'glitch rock', it's a form of electronic rock music that has a very organic foundation with live guitars and drums, plus some other instruments, though fused with electronic and glitchy synths and sounds. What helped me create the sound in the studio with my producers was the story of ANTIBOY, it's as if they are taking my words of what is happening to ANTIBOY in the song and painting it into music. It's a cross between Lana Del Rey and Nirvana in a way. I'm also very inspired by artists like FKA Twigs, the 1975, Angel Olson and Twenty One Pilots. WHAT HAS BEEN ONE OF YOUR FAVORITE MOMMENTS ON STAGE? I've been a part of this new monthly event called Gay Guts at Boardners, Hollywood, where each month they have a new selection of queer artists that have been performing which has been very special. I performed a set for both their first two events and for the most recent one in August, I was able to do a duet of one of my songs from my upcoming album with another artist for his set which was cute. I'm excited for my first solo show on the 9th of Sept at 9pm at Rockwood Music Hall in NYC, there's no cover and it's going to be my biggest show yet! Well, first of all, my debut single DEVIL comes out around Sept 4th so keep an eye out for that after the release of this magazine! And also, that my upcoming album "A Glitch in Paradise" ANTIBOY is not just a music album, but it's part of a sci-fi musical series that I'm writing where each track of the album, corresponds to an episode of the TV show. More about this coming soon!! I'm a very passionate, ambitious and driven person, and believe that anything is possible if you work hard enough! That people enjoy the music I put out there, that it can make people feel something, good or bad, that it can change someone's day, and make it a little better and make them feel a little more connected to something else in this world.